On 10 July 2018, the TB-PRACTECAL clinical trial reached a major milestone when the 100th patient was enrolled onto the study at the Nukus site in Uzbekistan. This achievement marks the culmination of considerable hard work and dedication by staff located all over the world, most especially at trial sites in Uzbekistan, Belarus and South Africa. Sponsored and run by Médecins Sans Frontières/Doctors Without Borders (MSF), the study is evaluating different treatment combinations containing two new anti-TB medications, bedaquiline and pretomanid, versus the standard care in the relevant country. It aims to significantly improve quality of life and outcomes by trialling a treatment duration of six months as opposed to two years. Furthermore, all the medications in investigational regimens can be taken orally, with fewer pills required per day. Patients with both multi-drug resistant (MDR) and extensively drug resistant (XDR) TB are eligible to enter the study. The trial is a significant step towards reducing the ongoing burden of drug resistant tuberculosis worldwide. Truly a collaborative project, expertise has been provided by the London School of Hygiene and Tropical Medicine, University College London and the TB Alliance, amongst other global leaders in the field. A total of 630 patients will be enrolled onto TB-PRACTECAL, with final results expected in 2021. TB PRACTECAL started at its second trial site in South Africa on 24 November 2017, when the first patient took the first pill. The international medical humanitarian organisation Médecins Sans Frontières/Doctors Without Borders (MSF) has partnered with THINK (TB & HIV Investigative Network), a research organisation based in Durban, to implement the TB-PRACTECAL study in South Africa. The trial will take place at two hospitals in the KwaZulu-Natal province. The clinical trial started at the end of January 2017 at an MSF supported hospital in Karakalpakstan, in north west Uzbekistan. There are now 48 patients enrolled in the trial at this site from a total of 630 patients who will be recruited across four trial sites in Uzbekistan, South Africa and Belarus. The third trial site is due to start later this year at an MSF supported hospital in Belarus, and the fourth site at an MOH-run hospital in Tashkent, Uzbekistan is targeting an end of 2018 start. If successful, the clinical trial will identify at least one treatment regimen that is more effective, shorter and has less debilitating side effects than current available treatment. The two stage trial will run until 2021, with first stage results expected in 2018. A pioneering new clinical trial aiming to find a radically improved course of treatment for drug-resistant tuberculosis (TB) began on 17 January 2017, when the first patient took the first pill in Uzbekistan. The phase II/III trial, called TB PRACTECAL, aims to find a treatment regimen for drug resistant TB that is drastically shorter, at six months long, more effective, and has fewer debilitating side effects than current treatments. The trial is run and sponsored by the international medical humanitarian organisation Médecins Sans Frontières/Doctors Without Borders (MSF) and is supported by the London School of Hygiene & Tropical Medicine, as well as other leaders in medical research . It is a full phase III clinical trial combining two new anti-TB drugs (bedaquiline and pretomanid). This will maximise the potential of the trial to develop radically improved treatment for people with either multi drug-resistant TB and the even more resistant, extensively drug-resistant TB. The two new drugs will be given in combination with existing drugs for tackling drug-resistant TB (linezolid, clofazimine and moxifloxacin). Despite killing more people than HIV, TB is woefully underfunded. Medicines for TB have barely improved over the last 50 years. And the number of strains of TB resistant to current medicines is increasing at an alarming rate. Currently patients with drug-resistant TB are on medicine for almost two years during which time they must swallow more than 10,000 pills and have painful daily injections for at least eight months. Side effects from treatment are often incapacitating, including nausea, joint pains, psychosis and going permanently deaf. MSF has been calling on politicians, global health bodies and pharmaceutical companies to address this TB crisis, but in the face of insufficient movement has now decided to take action itself. MSF has played a catalytic role in providing TB and drug resistant TB care for 30 years and is now running two clinical trials. The other, endTB, is due to start in Georgia later this year. The first patient on the TB PRACTECAL trial is based at the MSF supported hospital in Karakalpakstan, in North West Uzbekistan. They are the first of 630 patients, to be recruited from Uzbekistan, Belarus and South Africa. The trial will run in two stages. The first stage is a phase II trial finishing in 2018. It will test three different regimes containing new drugs, bedaquiline and pretomanid. The second stage is a phase III trial which will continue to test the two most successful regimes and will end in 2020. 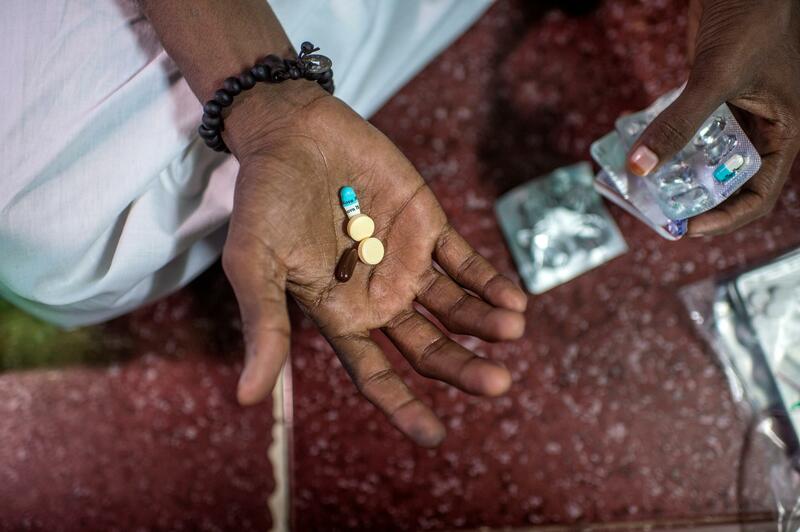 “MSF is one of the biggest non-government providers of TB care in the world and we refuse to wait years or even decades for new treatment, while thousands of our patients continue to suffer long, toxic and failing treatments. Despite aggressive treatment, only half of people with drug resistant TB globally are cured. The current TB regimes are simply inadequate. “We’re thrilled that this crucial large scale clinical trial for the treatment of drug resistant TB has started. “We know these two new drug classes have shown promising signs of tackling drug resistant TB microbes, and there are emerging signals from other therapeutic regimens that we should be able to safely shorten treatment courses and improve patient outcomes. “Uzbekistan is working hard to address the challenge of drug resistant TB. The Ministry of Health of the Republic of Uzbekistan, the national TB program in partnership with international organisations, including MSF, has cared for, diagnosed and supported thousands of patients over the last 13 years. “Treatment is long and arduous but if we explain to our patients, their families and medical staff directly involved in the trial the importance of this new approach to treating drug resistant TB we can achieve good results for this complex category of patients.